Cake With Cheesecake Layer - How To Deliver? I have a client asking for me to make a Red Velvet Cake and instead of a traditional filling like frosting she requested I bake a cheesecake and use that as the middle layer. I’ve only ever made this once before for my family so I’m not sure how exactly to go about doing this for a client. She wants the cake for a birthday party and intends on leaving it out for decoration along with cupcakes I’m baking so what would you all recommend. I’m worried that it having a cheesecake layer means it can’t sit out. Should I have her refrigerate the cake until ready to serve instead or should I freeze the cake completely prior to delivering and while it sits out it defrosts. Sorry if this is confusing in any way but I’d appreciate any feedback. I love that cake! Her leaving it sit out along side the cupcakes is a no go, because of the cheesecake layer. I'm not sure what you're icing it with, if cream cheese; can't sit out. I did see "shelf stable" alternatives to the cream cheese, but I would still definitely not leave cheesecake sitting out. Nope, cheese cake cannot set out and you should her so, emphatically. You should "tell" her so! I can't type! So if I can’t leave the cake out would you all recommend we keep it refrigerated until ready to serve and then once served it goes back into the fridge? If I did no-bake cheesecake instead would it be sturdy enough to stack? Also it'll be covered completely in American Buttercream so there won’t be any exposed cake/cheesecake. Yes, that is what I would recommend. In the fridge until serving time, and then back in. I have never used a no bake cheesecake. Does it utilize cream cheese? If so, it has to be in the fridge as well. It does not matter if any of the cheesecake will be exposed, the issue comes down to food safety. Ditto what ypierce82 said. All cheese cakes must be refrigerated. I’m gonna have the client refrigerate until ready to serve. From other posts I’ve been following and from other cake groups I’m in the longest anyone said it could be out for would be an hour and that’s still pushing it which I’ll elt the client know so hopefully this all goes well! 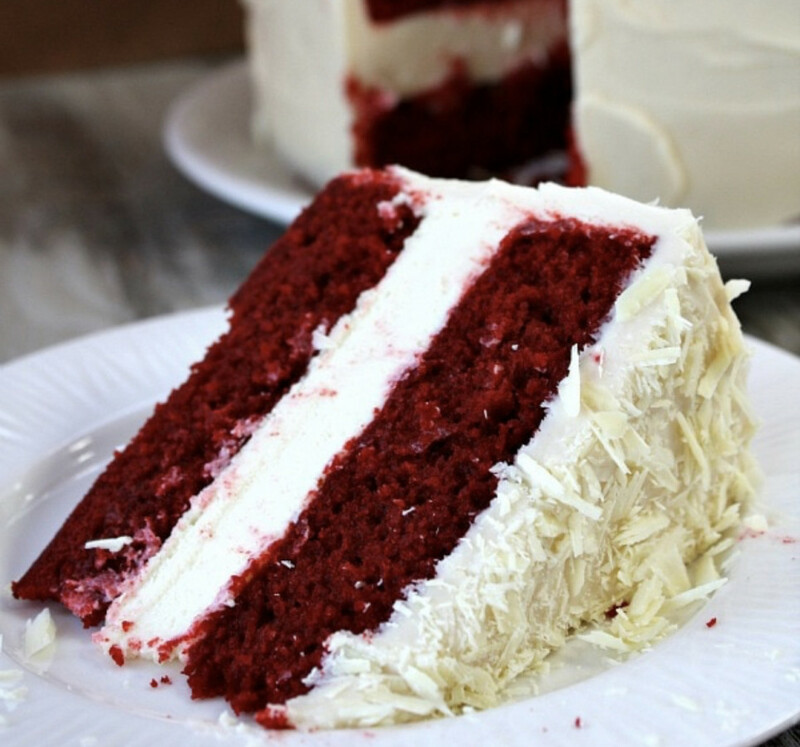 I recently made a red velvet cheese cake for my husband and I. We kept it refrigerated all the time and ate it cold. It was fine.